To find the "Team settings", select a team and click the "Edit"-button. 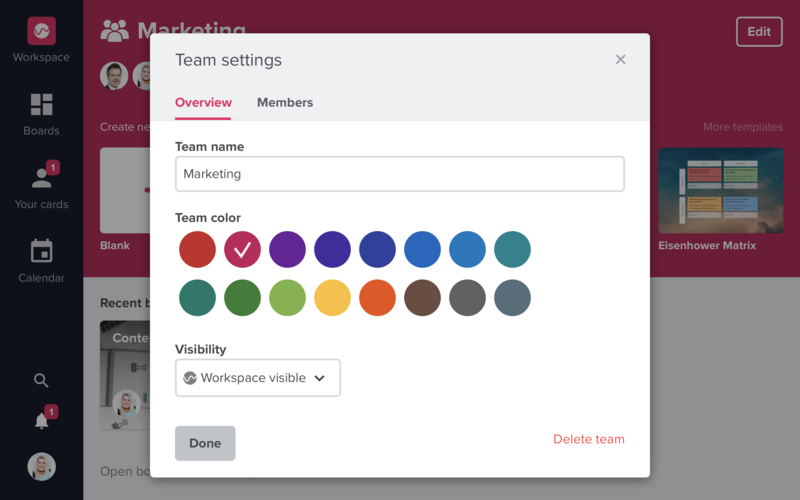 In "Overview", you can change the team name, color and visibility. A team can be either private or workspace visible. This is also where you can delete a team. In "Members", you can invite new members or change permissions for existing members, e.g. 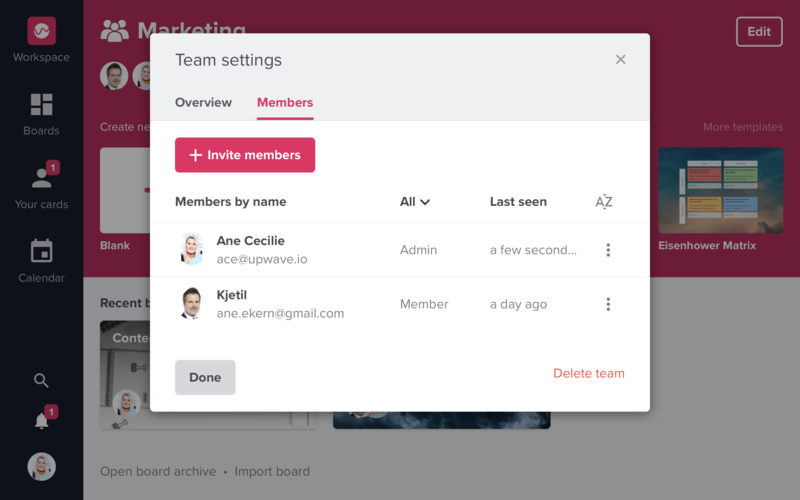 make a member admin or remove a member.